Surprise! Your new favorite green smoothie is black. 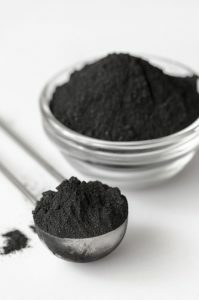 Activated charcoal is the newest (and darkest) high profile ingredient to attain superfood status. 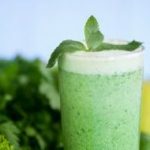 But most of all, this Activated Charcoal Black Lemonade Green Smoothie combines the latest in raw smoothie trends with classic superfood staples like kale and ginger for a refreshing and energizing gentle detox. Charcoal… Like the Stuff you Grill With?! 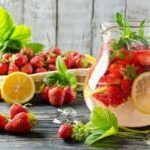 You’ve seen activated charcoal make a steady ascent to Pinterest superfood stardom, but what exactly is behind the detox hype? Charcoal, a familiar substance that gives these trending recipes their striking black color, is “activated” when heated at a high temperature and combined with an activating agent like gas. Via a process called adsorption, activated charcoal binds and flushes toxins, which is why it’s touted as a powerful detoxifying ingredient. Through this process, activated charcoal works as a remedy for alleviating gas, bloating, and constipation. 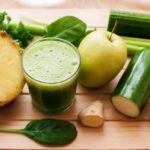 This Activated Charcoal Black Lemonade Green Smoothie Recipe combines these effects with the powers of other raw smoothie staples, like ginger – a noted anti-inflammatory – and kale – the nutrient-dense superfood that all but launched the green smoothie trend. 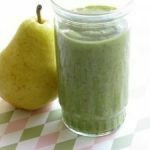 Combined, these ingredients make this energy boosting raw smoothie a perfect jumpstart to a new diet or nutrition plan, or simply a guilt-free pick-me-up. Say goodbye to your mid-morning slump, as the combination of superfoods and fruits in this Activated Charcoal Black Lemonade Green Smoothie will leave you feeling lighter, happier, and more energized, while the zesty lemonade-inspired flavor makes it a perfect summer treat. 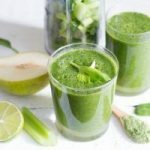 Blend baby kale, chopped apple and cucumber together. Add to lemon juice to blended ingredients in addition to the peeled ginger. Add ½ tsp of activated charcoal to 1 cup of water, and make sure to stir well. 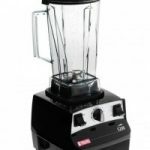 Next, add water and charcoal mix to blended ingredients. Mix well. Finally, blend with ice to desired thickness. 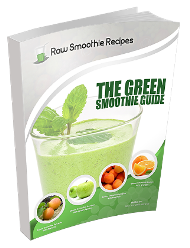 Enjoy a refreshing and energizing raw smoothie as a morning jumpstart or a mid-day pick-me-up!